Interview with Cullen Bunn & Brian Hurtt – Planet Comicon 2015 – WORST. COMIC. PODCAST. EVER! One of the best things about doing the Worst. Comic. Podcast. EVER! 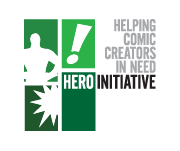 is getting to interview comic creators, especially those whose work you really enjoy. For me, that aspect was manifest in the chance to talk to Cullen Bunn and Brian Hurtt at Planet Comicon last week. 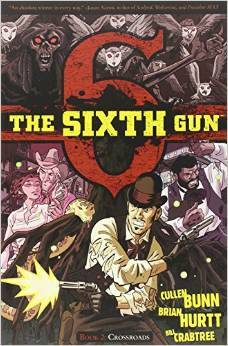 Bunn and Hurtt are the creative team behind The Sixth Gun and The Damned. I first met them at Planet Comicon in 2013 when I went to get a set of commissions from Brian and Matt Kindt and Brian sold me on the Sixth Gun (and Matt sold me on Mind MGMT) and I have never looked back. 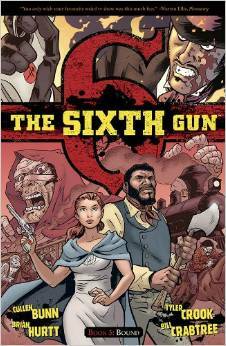 Listen to the interview as we attempt to describe the awesomeness that is The Sixth Gun (Supernatural Western?) and look at their upcoming projects. Brian is working on an all ages book that sounds extremely fun and Cullen is writing all of the comic books. All of them. For all of the companies (actually just four for DC, four for Marvel, and at least that many from other publishers). Here is our interview with the gentlemen from the floor of Planet Comicon 2015. They were incredibly generous with their time. Also, if I sound nervous and giddy the whole time it is because I was. I’m still new to the whole interview thing. 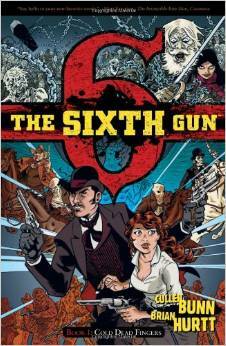 Here are shots of the first three volumes of The Sixth Gun. I’d also like to say that Becky is one of my favorite protagonists in comics and Missy Hume’s eyes haunt my dreams but I just can’t look away. Give the guys some love by liking them on facebook or checking out some of their other merchandise including the collected editions, T-Shirts or even Brian’s original pages from the book. Preview of Issue 47 – Out March 25th. It is the last issue of the penultimate chapter of the ongoing series. Thanks again to Brian and Cullen for appearing on the show and we hope to see both of them back in Kansas City soon. Good fortune to both of them. Four Comics I Want for NCBD: 2015/05/13 | WORST. COMIC. PODCAST. EVER! WCPE Episode 084 – For February 10, 2016 – Deadpool Interview with Cullen Bunn – WORST. COMIC. PODCAST. EVER!